I’m hearing whips crack, coins clink, and benches flung against walls. The hawkers and peddlers and venders race for the gate as sheep bleat and doves fly. A furious Messiah is taking his temple back a day after Palm Sunday. He’s not negotiating. As the dust clears, I can’t help but wonder: Are there money-changers in our temples? Even worse, have we become the hucksters? Have I? My answer: Yes to each. There are thieves in our temple, and I’ve been one of them. But so were the money-changers. They were unwitting co-conspirators, woven in corruption’s web, cogs in an approved religious system gone awry. After all, the priests and teachers had blessed them; they were catering to the needs of weary travelers and making an honest buck – and now this alleged miracle worker from Galilee of the Gentiles upsets our way of life! Their skewed vision saw corruption as good and holiness as sin – and the religious officials were backing them up. It was so insidious and understandable. I can sympathize with them and us, even while I hear the cracking whips and clinking coins and slamming benches. 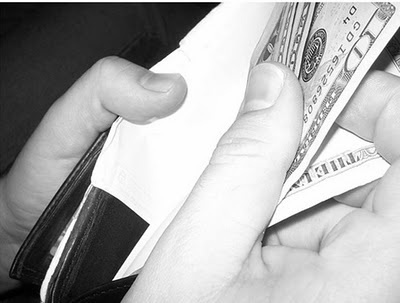 I hear them even through dissonant din of our own self-deception: a recent survey found that 42 percent of more than 1,000 millionaires said they don’t feel wealthy; they need least $7.5 million. What’s more, the rich deny the poverty of the poor. Listen to Rand Paul: “There are no rich, there are no middle class, there are no poor; we are all interconnected in the economy.” How true: we’re interconnected – but that doesn’t deny poverty’s reality. Paul was standing on a rhetorical platform laid by the Heritage Foundation, which issued a 2004 report jostling facts and figures that made it look like the American poor live in luxury. The statistics may be technically true, but they miss the point: Many Europeans have a higher standard of living because their poverty rates are lower – and they don’t worry about losing their houses due to medical bills. The myth of the poor rich festers with another deception: The government robs us with ever-increasing taxes. In fact, the highest rates for top incomes came during the Republican Eisenhower administration at 92 percent, with loopholes preventing full collections. They dropped to 70 percent in 1965, 50 percent in 1982, 38.5 percent in 1987, and 28 percent in 1990. They rose to 39.6 percent in the Clinton years, but declined to 35 percent during the Bush era. The hawkers’ clamor muffles reality even more: Exxon Mobile made $19 billion in profits in 2009 but paid no taxes and got a $156 million rebate; Bank of America received a $1.9 billion tax refund even though it profited by $4.4 billion – and so with Chevron, Boeing, Valero Energy, Goldman Sachs, Citigroup, ConocoPhillips, and Carnival Cruise Lines: huge profits with little or no taxes paid at a time of tremendous federal debt. The poor rich: We push them and push them and push them. They need a break. Can we even hear the burden of Jesus? “I tell you the truth, whatever you did for one of the least of these brothers of mine, you did for me” (Matthew 25:45). Are we deaf to the warning of the Apostle James? “Now listen, you rich people, weep and wail because of the misery that is coming upon you. Your wealth has rotted, and moths have eaten your clothes. Your gold and silver are corroded. Their corrosion will testify against you and eat your flesh like fire. You have hoarded wealth in the last days” (James 5:1-3). Some who affirm belief in the Bible wall themselves with “yeah-buts,” then throw their support behind US Rep. Paul Ryan’s budget plan, recently passed in the House, which would whittle corporate and personal income taxes even more and overhaul Medicaid. 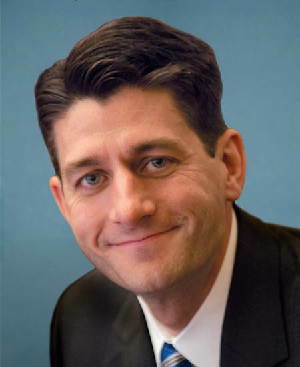 In fact, Ryan is a disciple of atheist Ayn Rand and requires his staff to read Atlas Shrugged. “There is a great, basic contradiction in the teaching of Jesus,” she said. Jesus proclaimed the “inviolate sanctity of man’s soul” but advocated living for others. “This is a contradiction that cannot be resolved. That is why men have never succeeded in applying Christianity in practice.” Rand was honestly and boldly anti-Christian. She lionized Eden’s snake. 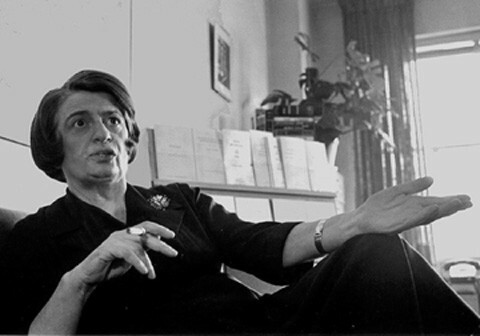 To be a disciple of Ayn Rand and Jesus is a logical contradiction. But Ryan belongs to the supposedly “pro-life” party, whose only remedy is to appoint Supreme Court justices who would reverse Roe v. Wade. I disagree with Roe v. Wade in principle, but overturning it would not halt legal abortions: Decisions on abortion regulations would return to the state legislatures. Count on a pro-choice groundswell and election sweeps. How about we zero-in on real pro-life policies – policies diametrically opposed to Ryan’s proposal? Vendors and peddlers and hawkers. But again, I sympathize. The whip cracks for me. I’ve heard the hucksters for years – but I said nothing. I didn’t want to be “divisive.” I wanted to be a “peacemaker.” I wanted to be seen as Mr. Good Evangelical Pastor who buried his supposedly minor differences in the interest of “unity.” I was a peacefaker, not a peacemaker. Avoiding conflict and muffling my voice is the exact opposite of true peacemaking. I yearned for calmness, not peace, and I now see that my kin and I did no one any favors with our silence. We misunderstood genuine shalom and advocated its pallid counterfeit. It was a huckster’s peace. No wonder that few bought it at the corrupt temple. I admit it: I have been one of the temple’s robbers. There is a remedy for me and all my fellow crooks in this Holy Week: We can fall on our knees before the enraged Messiah. We can confess our sin and receive His forgiveness – and then we can join his cause. We can take the whip out of his hands, crack it ourselves, and overturn the tables with coins. We can co-labor with Christ and rid ourselves of the thieves in our temples. Isn’t interesting that people who hold on the philosophy of Rand and her ilk always see themselves as one of the oppressed elite, the poor rich, the intelligent minority? Have you ever met someone who reads and becomes a rabid Rand follower ever say, gee, I am a user, a parasite of the genius of others? The strange attraction of her work seems to be that it gives one permission to resent both the success of other and, at the same time, gloat over the misfortunes of others. Thanks for a good column. Wow, a really thought provoking article. I think it’s all too common for many of us Christians, in the attempt to appease others around us and be, as you put it “peacemakers”, compromise the true message of the gospel. When that happens we are no worse than the theives ourselves in our inability to stand up against the obvious sin and moral corrruption around us. May God, through His grace, grant us spirits that are bold, bold to live like Jesus and not stoop down to the mediocrity so many of us, most of us, find ourselves in. I get here from yahoo, but unfortunately I’m not found what I was looking for. But this is a great post. Regards for this post, I am a big fan of this internet site would like to go along updated. Thx!